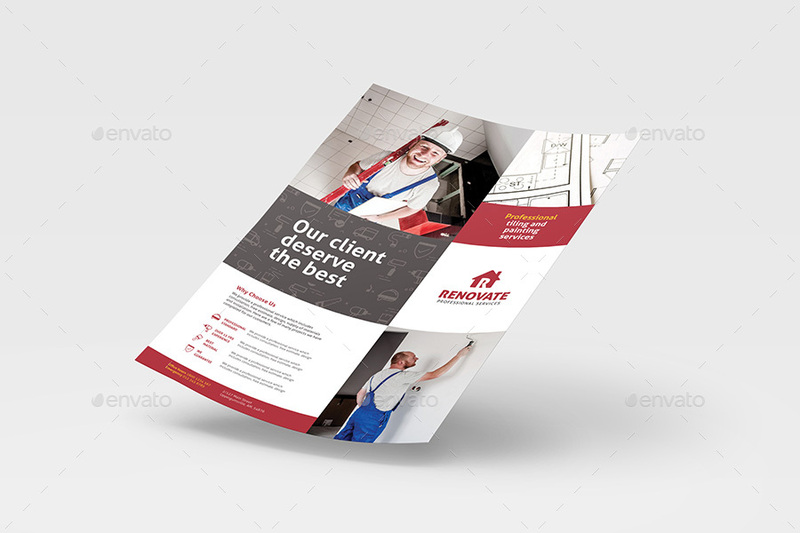 A set of A4 poster templates ideal for construction related businesses; such as handyman services, builders, joiners, electricians & other professional tradesmen. 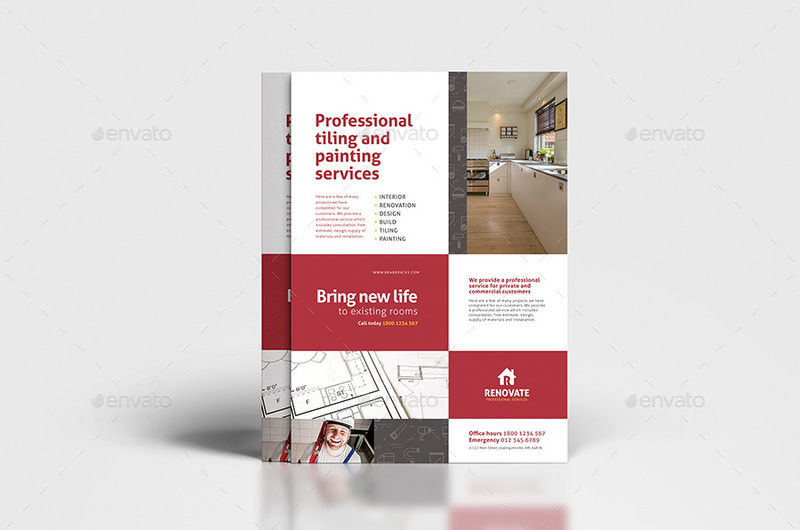 Use this design to create A4 flyers, posters & magazine advertisements with ease. 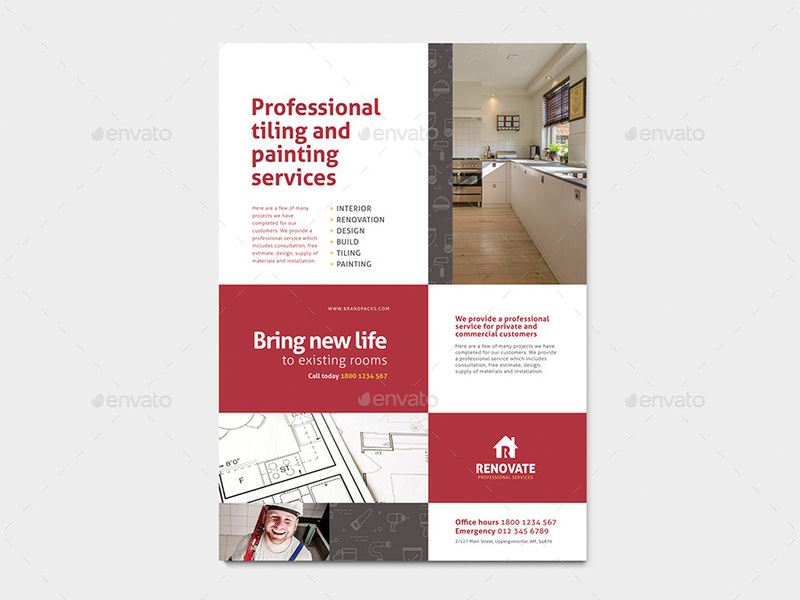 The design is clean & modern with a grid-based layout that is easy to edit & customize. The burgundy & charcoal color scheme is inspired by today’s modern home builders, adding to the professionalism of your finished design work. 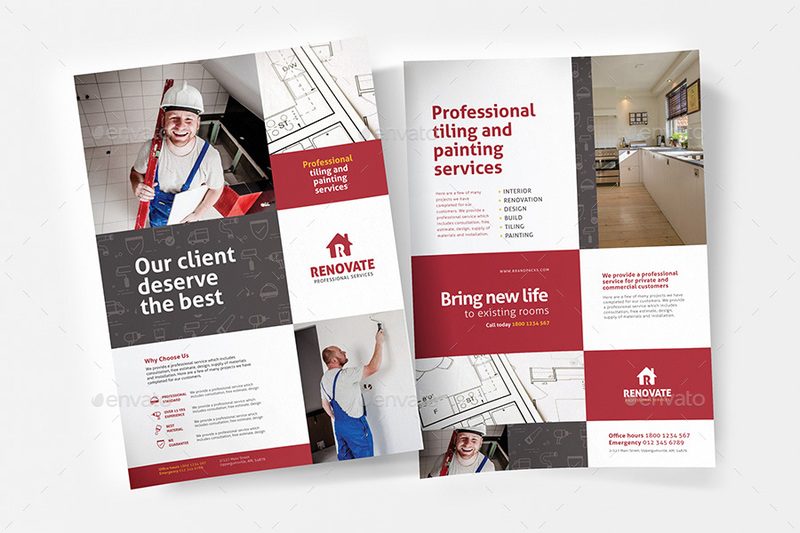 With plentiful space to add text, change colours & easily replace photos, integrating a client’s brand is quick & easy. 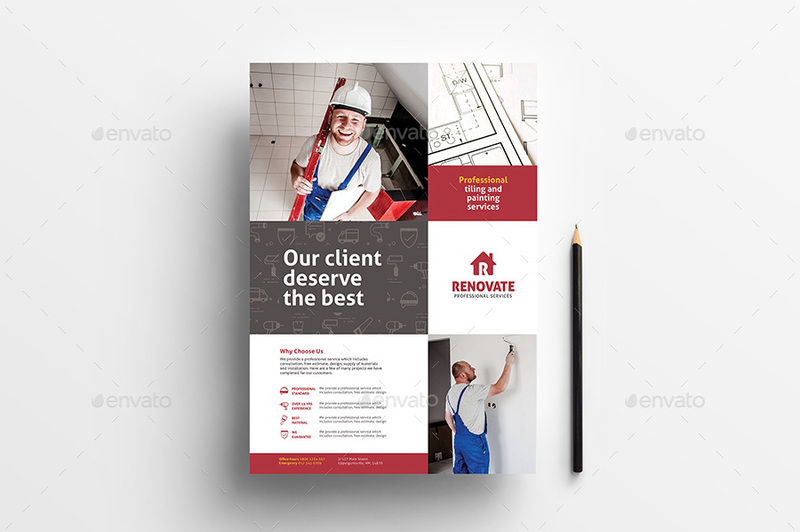 As well as being ideal for construction related businesses, the simple corporate style of the design makes it a great choice for a wide variety of design projects.